Idea Elan is one of the fastest-growing companies in this field with customers worldwide. Customers rave about our innovative modules like the Automatic Actual Usage TrackerTM, Infinity Mobile App and Super AdminTM Module. These modules have improved oversight of core services as well as increased facility productivity. Our software introduced new technologies to streamline workflow resulting in an increase of communication between core staff. As one of the fastest growing companies in the field, we strive to use the latest in business and software technologies to form the foundation of our company. His diverse knowledge and background in Physics, Computer Science and Biomedical engineering, and extensive work experience in the field of Microscopy and ability to understand and satisfy his customers makes him the perfect entrepreneur in the field of biomedical and life science research. He has a Master's degree in Computer Science and an undergraduate degree in Physics. He has three years of research experience in University of Virginia (UVA). While working in UVA, he managed the W.M. Keck Center for Cellular Imaging along with his advisor. During the three years, he published 12 international publications in the field of Microscopy and Spectroscopy. After UVA, he worked as a Product Specialist for Confocal and Multi-photon microscopy systems in Bio-Rad Laboratories and in Carl Zeiss Inc. He was the 'go-to' person for technologies involving Fluorescence Lifetime Imaging (FLIM), Fluorescence Correlation Spectroscopy (FCS) and FRET. Is the Director, Quality & Mission Success for Lockheed Martin Maritime Systems & Sensors (MS2) based in Baltimore, MD. In this role, he is responsible for all elements of process, product, and program quality assurance across the MS2 Maritime Security & Ship Systems Line of Business. 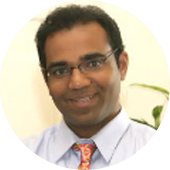 Additionally, Venkat is responsible for Mission Success and Lean/Six Sigma activities across the enterprise. 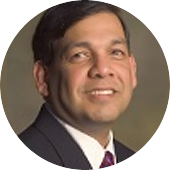 Venkat has over 25 years of engineering and program management experience in the U.S. aerospace industry. Venkat's prior assignment was the Director of Quality & Missions Success for MS2 Tactical Systems based in Eagan, MN. Prior to joining MS2, he was a Lean & Six Sigma Subject Matter Expert for the Corporate LM21 organization. In this role he was responsible for implementing and leading Lean & Six Sigma activities across Lockheed Martin for new business pursuits, product development and operations. Has a Masters Degree in Business Administration and a Bachelors Degree in Mechanical Engineering from India. He started his own Software Company, J&B Software, Inc. at 26 and was CEO of his company for over 25 years. The company developed financial transaction management software (TMS) and it was implemented by the US Federal Govt., 20 different US State govt. entities. Also most of the large US banking and financial transaction management software (TMS) and it was implemented by the US Federal Govt., 20 different US State govt. entities. Also most of the large US banking and financial institutions have implemented the TMS software. The company employed well over 400 people in the US, India, and other countries. The company was listed as one of the 100 fastest growing companies in Philadelphia for four straight years. The company also received the honor of one of 500 fastest growing companies in the country, by Inc. 500. Bala received the Council of Indian Organizations Professional Excellence award in Philadelphia, among many other awards. 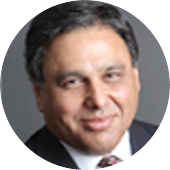 Naeem Zafar is a serial entrepreneur who has started or worked at several companies in Silicon Valley. Most recently, he co-founded and served as the CEO of Bitzer Mobile, an enterprise security and mobility company that was acquired by Oracle in November 2013. Naeem started his own business at the age of 26 and subsequently started or worked at six startups. His first job out of Brown University with a degree in electrical engineering was to design chips and electronic systems. Twenty years, two kids, one IPO, and four CEO stints later, he founded TeleSense, a company focused on providing solutions based on IoT [Internet of Things]. 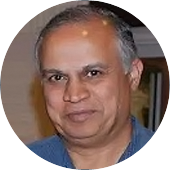 Naeem is a faculty member at the University of California – Berkeley Center of Entrepreneurship and Technology and a Professor-of-the-Practice at the Brown University Department of Engineering, teaching courses in entrepreneurship, technology strategy, and new venture finance. Naeem has authored five books and has given several papers and talks.